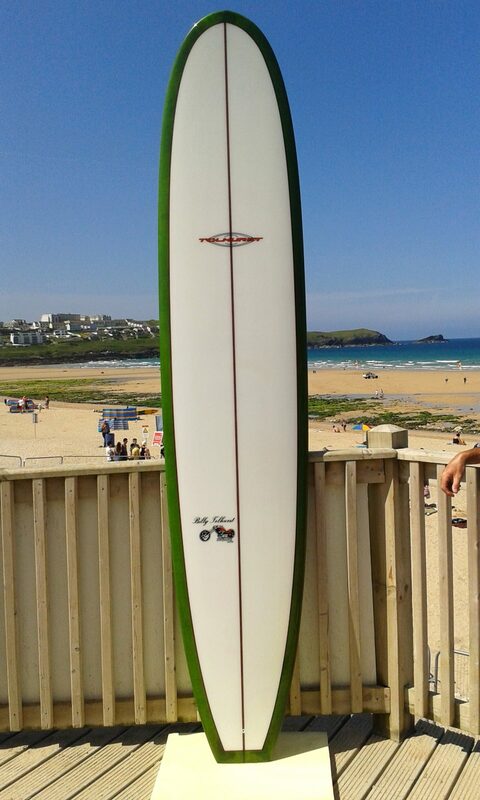 Fistral Beach Surf Hire has a vast range of longboard surfboards for hire. 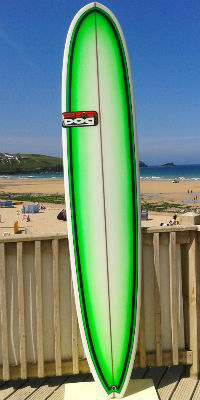 Open all year our longboard surfboards for hire range from those suitable for 1ft days to 8ft barreling Fistral. 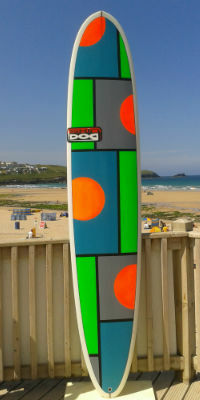 Below is a selection of the longboard surfboards for hire. Feel free to contact us for more information, if you are hiring as long as the boards are available you can swap between boards, alternatively if there is one which you want to specifically hire then mention this as a comment when you book. The names says a lot, the Saving Grace. Designed for those smaller days when the conditions aren’t at their best. It is a traditional noserider, which has been modified to give good rail to rail surfing, with a smooth slow. It excels in chest size and smaller surf. 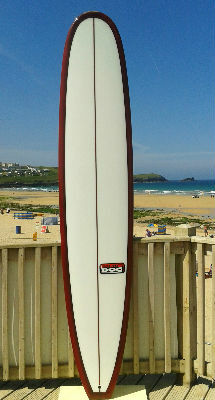 Smooth to paddle and pick up the wave, with a flick in the tail rocker making it great for both turning and noseriding. This single fin was designed and developed by the talented shaper Billy Tolhurst and world champion Harley Ingleby. This is a high-perfoming log. It has all that you want from a classic single fin, without feeling too big or cumbersome in any way. The EuroStar is one of the most popular models. It surfs like a performance longboard, but is still very quick to get used to, while handling a range of conditions well. With volume in all of the right places it is fast to paddle, picking up the waves early, but able to surf them with responsiveness. The purpose of this board is given away in its name, The Slab Hunter. Designed for those heavy days and winter surfs. It paddles well and is very fast on the wave, gives you a performance longboard surf. Our selection of longboard surfboards for hire is always changing. If you are looking for a different shape you can come and browse through the boards available at the beach or get in touch with us.